Google Inbox has been available in preview form for a few months now. After using it during this time, I’ve grown to rather enjoy the fresh take on mailbox management. 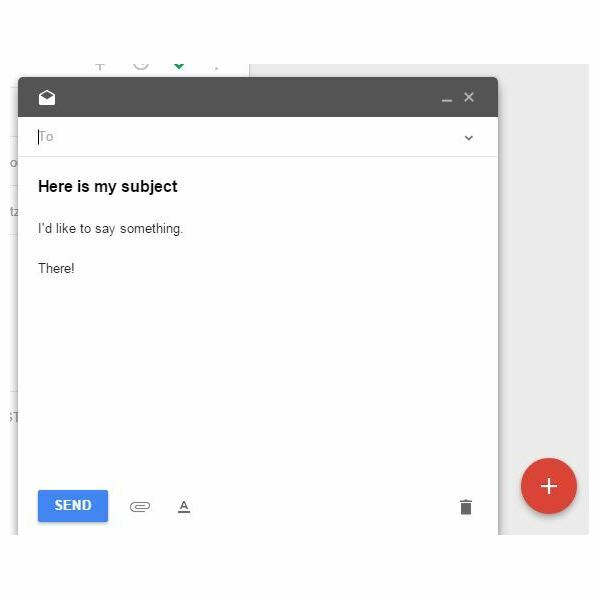 Although some features are still missing from the Inbox experience, overall it’s a great step in the right direction for Google. This guide will walk you through the interface and show you some of the new improvements to allow you to better manage your inbox. First off, you need to have a Gmail account. Once you have an account you can request an Inbox invitation by going to www.google.com/inbox and clicking the Request Invite button. Google processes invites in batches – it’s not very clear when the invites get sent out so just be patient. Once you’ve got the invite, you’ll be taken through a quick overview of the Inbox interface. The nice thing here is that Google lets you use either the traditional Gmail interface or Inbox at any time with no adverse impact. To log into the Inbox interface, simply go to https://inbox.google.com and sign in using your Google credentials. To get back to the regular Gmail interface just go to traditional https://mail.google.com URL. When you first open Inbox you’ll notice the clean look and ample use of white space (Figure 1). The main selling point behind Inbox is the use of Bundles. 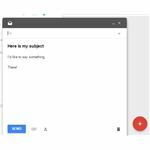 Gmail introduced the idea of Categories where you’d have a tab for different types of messages. The drawback with Categories though is that messages were on a different screen – you had to change tabs to view all of your messages. With Inbox, your mail is bundled by categories such as Finance, Promos, Social and Updates. They are further sorted by timeframe. You can easily see messages sent to you today, this month and then each month prior to this month. As you can see in Figure 2, I have just a few messages from “Today” and they are all bundled as Promos. To expand a bundle, just click on it. In Figure 2, I clicked on the Social bundle from last month and can see each individual message. To dismiss a message just click the checkbox with the three horizontal lines next to it. You can easily dismiss entire bundles or individual messages. Messages by default aren’t deleted – just like in traditional Gmail. In Figure 3 you can see the different options you have for messages. The first icon is the Pin icon. You can pin a message and later alter your view to show only pinned messages. The second icon allows you to snooze a message. This removes the message from your main inbox until a later time. This is useful to ignore a message until you’re ready to tackle it at a later time. The checkbox icon as mentioned earlier allows you to dismiss your messages from the inbox. The last icon lets you move your message to a different folder. To view your snoozed messages or other folders just click the three horizontal lines next to the word Inbox on the top left of the screen. As you can see in Figure 4 I had snoozed one of my messages until later in the day. One nice thing with snoozed messages is that you can put a reminder in the message – this won’t be visible to others if you reply to a message but it can act as a little note to yourself. All of the messages you’ve dismissed using the checkbox icon will show up under the “Done” folder. You can also use this menu to select specific bundles to narrow down the number of items in your inbox. Creating a message is as easy as hovering over the big red ~ez_ldquo+ez_rdquo~ sign in the bottom right hand corner. Frequently used contacts will show up as a bubble that you can click on and instantly create a message for them. The composition screen is pretty simple – quite similar to the regular Gmail interface (Figure 5). Although the interface is a bit sparser than the traditional interface, I rather enjoy it. It’s got a clean, uncluttered look (no matter how many messages you have) and I find it very easy to be able to quickly dismiss whole categories of messages with just a quick look. Another point to note is that Google has also released Inbox for mobile devices. The interface is nearly identical to the web version so I won’t cover it in any detail, but realize that if you’re a big mobile user (and who isn’t?) you can get the app too.